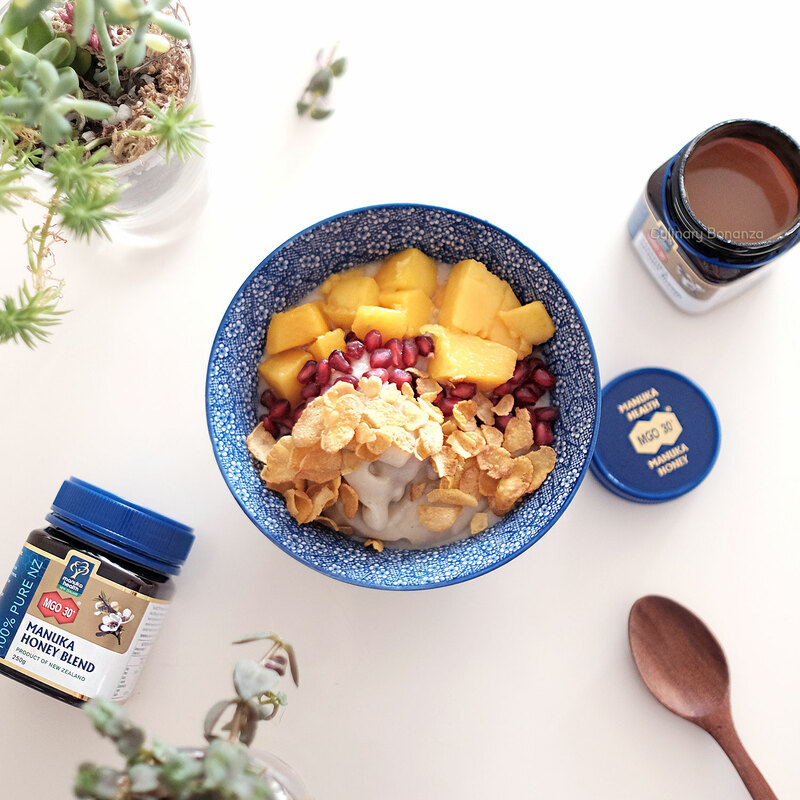 Eat More Manuka Honey And Be Healthy! So there's your regular honey and there's manuka honey, which obviously costs more than the former. 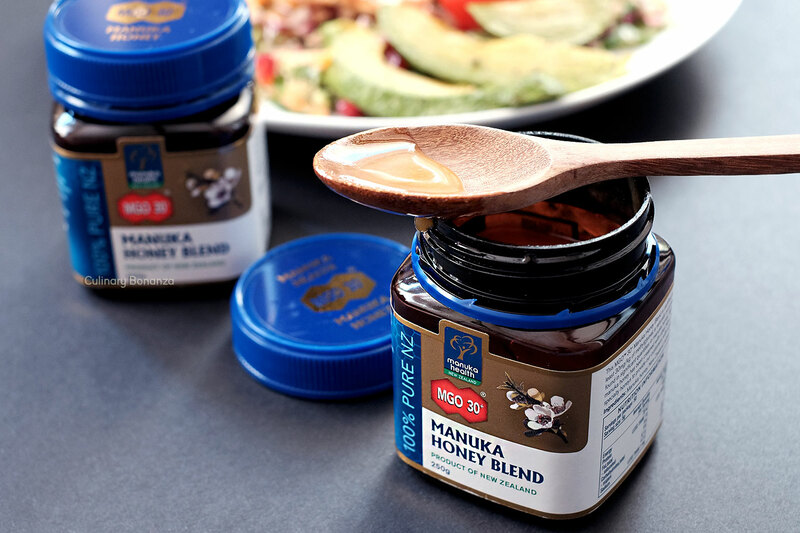 Long story short, manuka honey is produced by bees in New Zealand that pollinate the native manuka bush (source). Manuka honey contains higher than usual amount of methylglyoxal, one of the naturally occuring antibacterial component. MGO™ is simply a rating system that grades the concentration of methygloxal in the honey, the higher the number, the more concentrated and thus the more potent it is. For starters, I tried one with MGO™ 30+ blend, which simply means that is contains a minimum of 30mg/kg of methylglyoxal. Manuka honey comes from hives in pristine and remote areas of New Zealand, and is fully traceable from beekeeper to shelf! The honey itself looks cloudy and melts in the mouth effortlessly, and I'm not sure if it was just me, but it left this temporary tinge of cold sensation in my mouth! Manuka honey is also good for the skin and thus, had been a popular ingredients for facial masks, treat skin condition, and even to remedy pimples! I did not try it yet for myself, but I know people who'd vouch about this with their lives! Other than dissolving the honey in lemon or water, I used it as a dressing for my favourite breakfast bonanza and even for salads too! 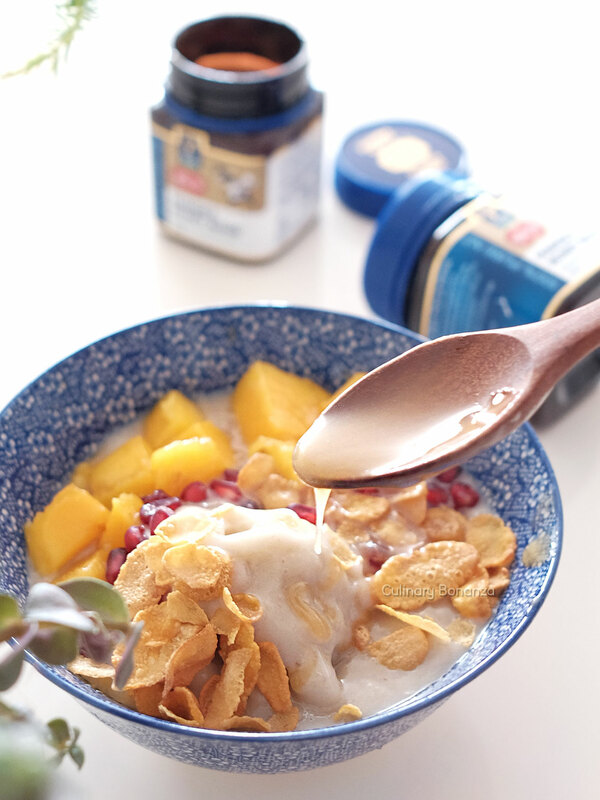 Being a natural product, it is best to consume manuka honey unprocessed, ie: don't cook or use heat please. 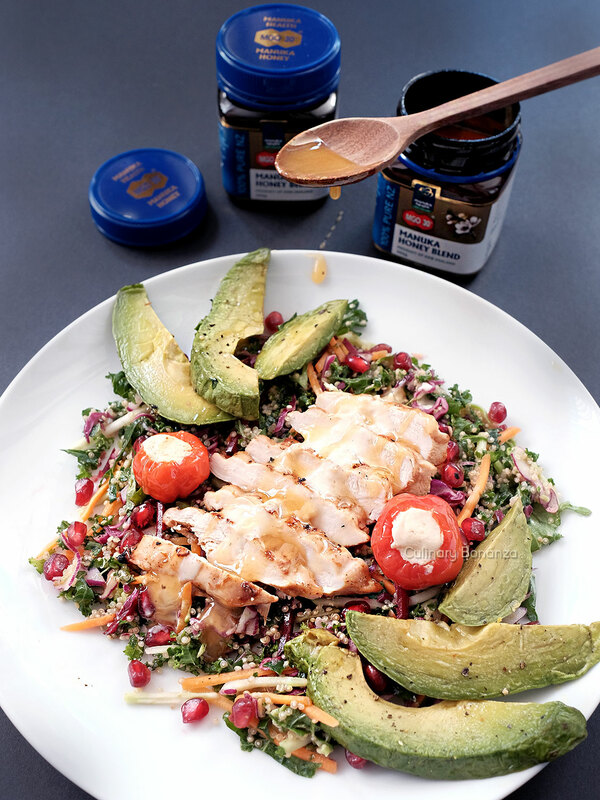 So here's one of my favourite creamy dressing using manuka honey: Manuka Honey - Lemon Tahini Dressing. With this dressing in hand, the possibility is endless! 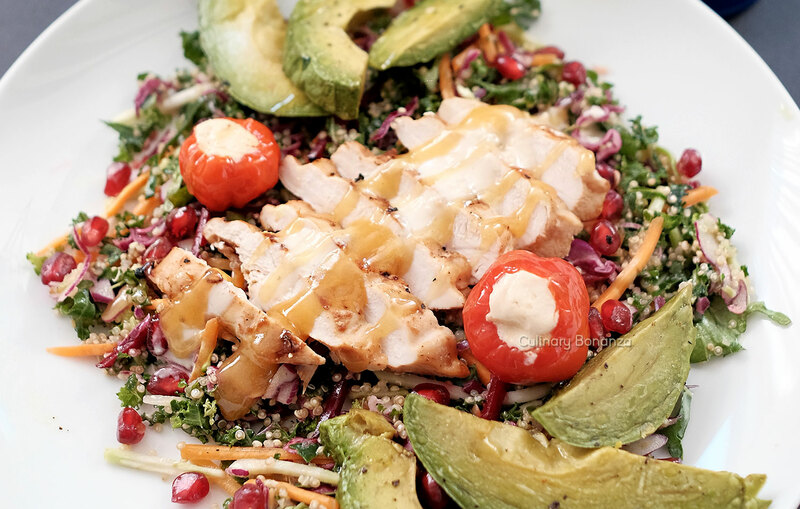 Drizzle it on your roast chicken, your salad, vegetable dips, etc. I personally find it a much healthier alternative to cesar dressing or aioli mayo, but still tastes as creamy and rich! - Add the lemon juice and honey slowly while consistently mixing the paste. It will turn cloudy white and more diluted (normal). Taste the now runny paste regularly to make sure it's not too sour nor sweet. I personally love both sweet & sour balanced. - Add a pinch of salt (I used garlic salt) as desired.